Former Senate Majority Leader Tom Daschle says he's looking to get input from ordinary Americans on what's broken about the health care system. CHICAGO — President-elect Barack Obama has chosen former Senate Majority Leader Tom Daschle to lead his effort to design an overhaul of the nation's health care system and shepherd it through Congress. Introducing Daschle's new role on Thursday, Obama stressed the link between restoring the nation's dismal economy and making health coverage more affordable and accessible to Americans. "If we want to overcome our economic challenges, we must also finally address our health care challenge. I can think of no one better suited to lead this effort," Obama said of Daschle. Daschle's selection as secretary of Health and Human Services has been known for some time, but Obama made it official in a news conference. He said Daschle also will oversee a new White House Office of Health Reform. "As such he will be responsible not just for implementing our health care plan. He will also be the lead architect of that plan," Obama said. Obama said that Jeanne Lambrew will serve as deputy director of the White House office. She also served as a health and economics adviser during the Clinton administration. 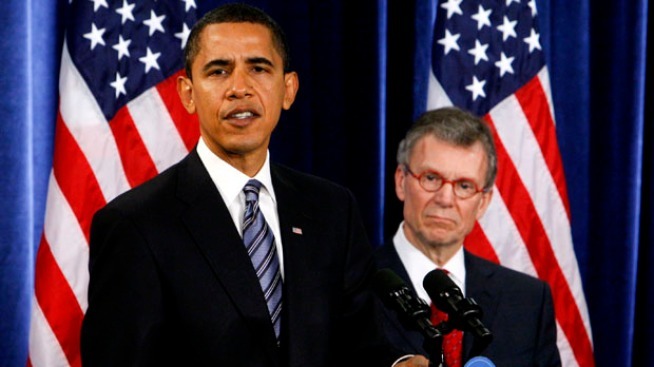 Daschle was a close adviser to Obama throughout the presidential campaign. He recently wrote a book on his proposals to improve health care, which Lambrew helped write. If confirmed, Daschle, 61, would oversee a department that's responsible for nearly $1 out of every $4 in federal government spending. 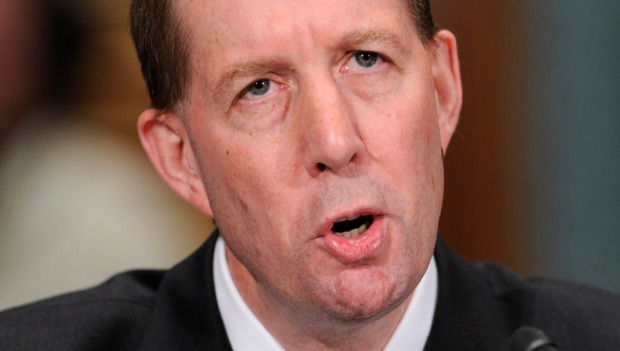 He described fixing health care as one of the nation's greatest domestic challenges. "We have the most expensive health care system in the world, but are not the healthiest nation in the world," Daschle said. The Department of Health and Human Services, or HHS, oversees an array of programs responsible for food and drug safety, health coverage for the elderly and the poor, medical research, early childhood education and assistance for those in extreme poverty. Creation of a White House office on health issues indicates they will be a priority. After losing re-election to the Senate in 2004, Daschle, a Democrat from South Dakota, became a public policy adviser at the law and lobbying firm Alston & Bird, although he isn't a registered lobbyist. He advised clients on issues including health care, financial services and taxes and trade, according to the firm's Web site. The firm itself has a client list heavy with health care interests. They include drugmakers Abbott Laboratories, Mylan Labs and the Generic Pharmaceutical Association, a trade group; CVS Caremark; health insurers Anthem and Humana; Bayer Healthcare; and trade groups representing nurse anesthetists, nursing homes, clinical labs, gastroenterologists, community hospitals and home care and hospice services. Obama said Daschle not only has a keen interest in health issues but has the respect of lawmakers in Congress. "A gifted manager, Tom is the original no-drama guy — known for speaking softly, but leading boldly," Obama said. Obama described Lambrew as a nationally recognized expert on Medicare and Medicaid who helped lead efforts during the Clinton administration to create the State Children's Health Insurance Program, which provides coverage to about 6 million children whose families make too much to qualify for Medicaid but not enough to afford private coverage. An array of advocacy and trade groups quickly lined up in support of the nomination, including groups representing insurers, hospitals, doctors and the elderly. "Senator Daschle is exceptionally well qualified to bring people together in support of universal coverage, cost-containment and improved quality," said Karen Ignagni, president and chief executive of America's Health Insurance Plans.